For more than thirty years Mark Hansen has been lead trial counsel in cases across the United States, in federal and state courts, in civil and criminal actions, before juries, judges and arbitrators, and for prominent clients including governments (the United States, the Kingdom of Saudi Arabia), large corporations (General Electric, Morgan Stanley, AT&T, Verizon, Teva Pharmaceuticals, Aetna), leading entrepreneurs (the Pritzker Organization, Philip Anschutz, Bernard Ashley, Rajendra Singh, Vinod Gupta), private equity firms (Thomas H. Lee Partners, Bain Capital), and many other corporations, classes and individuals. Among the cases Mr. Hansen has tried to verdict for plaintiffs are the largest judgment collected under the U.S. antitrust laws (Conwood v. United States Tobacco, $1.3 billion collected after denial of certiorari), one of the largest unfair trade practices judgments (Volumetrics v. Philips, $318 million of which $180 million collected in a settlement) and one of the largest abuse of process judgments (Lexecon v. Milberg Weiss, $45 million settled for $50 million just prior to punitive damages phase of trial). 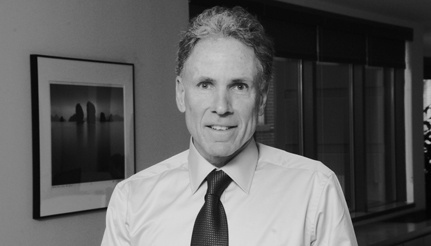 Mr. Hansen has defended prominent cases such as the September 11 tort cases (representing Prince Turki Al Faisal, who was dismissed with prejudice from all cases), a class action accusing the major telephone companies of colluding (Twombly, which led to the landmark Supreme Court ruling that revised pleading rules for the federal courts), a monopolization claim against Verizon (Covad, dismissal affirmed on appeal), as well as patent, contract, fraud and other tort claims. Mr. Hansen has tried more than 30 cases to verdict and has argued more than 20 appeals. Mr. Hansen regularly appears on lists of the country's leading trial lawyers. He is a fellow of the American College of Trial Lawyers.